A 73 year old cabbie was spared jail after being convicted of dangerous driving. Jim Corbet of Stoney Brae, Paisley, knocked over Christopher Flannigan after an argument at a taxi rank. The incident, which had been caught on CCTV, showed Corbet mount the pavement in his Pink taxi and knock Flannigan over. Witness, Blair Dalgleish, described in court how, as he was approaching another taxi, he saw a row erupting between Corbet and Flannigan. He then described how the cabbie hit the accelerator, with Flannigan moving out of the way and kicking the taxi before the taxi miunted the pavement and hit the man. Corbet claimed that he was trying to prevent Flannigan from stealing a bike, and the victim had attacked his vehicle and spat at him. He also claimed that he was trying to protect himself and his vehicle. 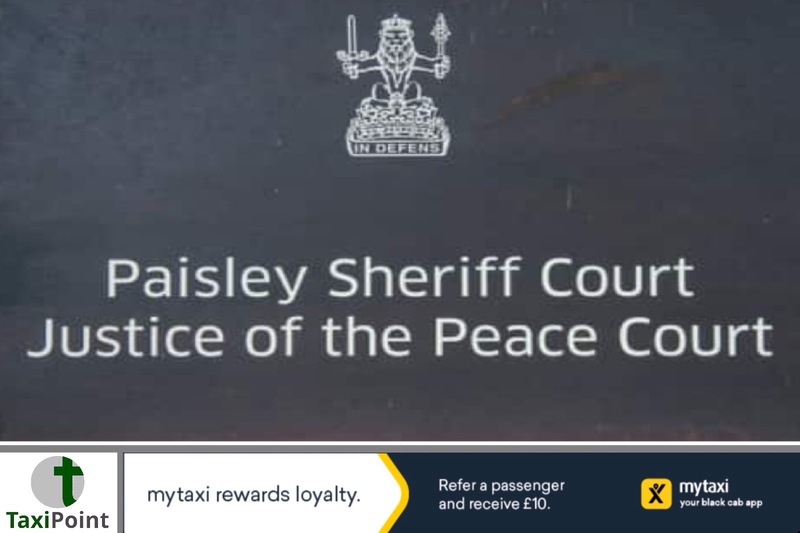 Sheriff Tom McCartney at Paisley Sheriff Court, convicted Corbet of dangerous driving. Sparing him a 12 month jail term, Corbet was fined £400, banned from driving for 12 months, and ordered to take a retest once his ban has been served.